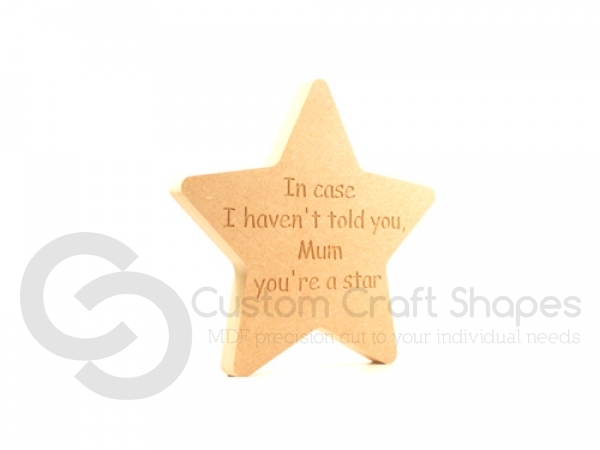 THIS ITEM CAN BE PERSONALISED - CHANGE MUM TO MUMMY, GRAN, NAIN, DADDY ETC ETC. JUST TYPE THE NAME TO BE ENGRAVED INTO THE TEXT BOX. All product images, designs & text are the property of Custom Craft Shapes Ltd and are protected by international copyright law.